The little site icons in the HNQ box are misaligned on some sites today. I have cleared cache and checked this out with Firefox, Chrome and Safari, all with the same result. At a minimum, Puzzling.SE and StackOverflow are affected. Meta is not affected. Basically, it looks like the sprite image doesn't match the sprite CSS for some reason. 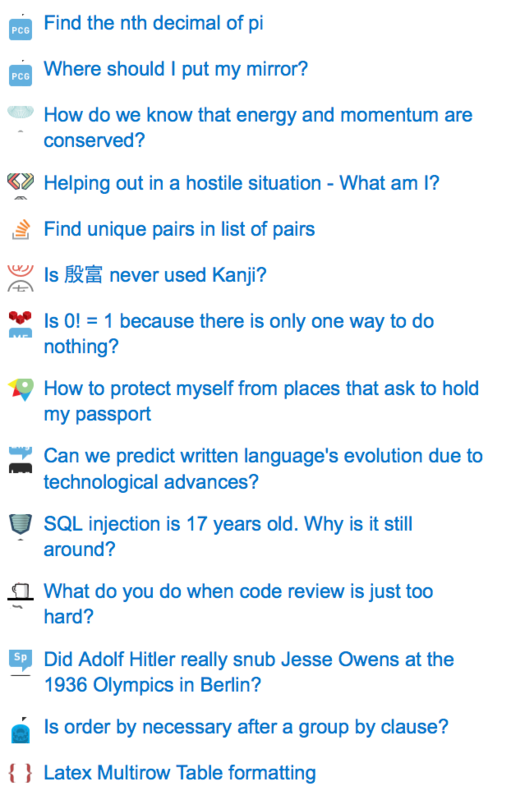 Browse other questions tagged bug status-norepro hot-questions .